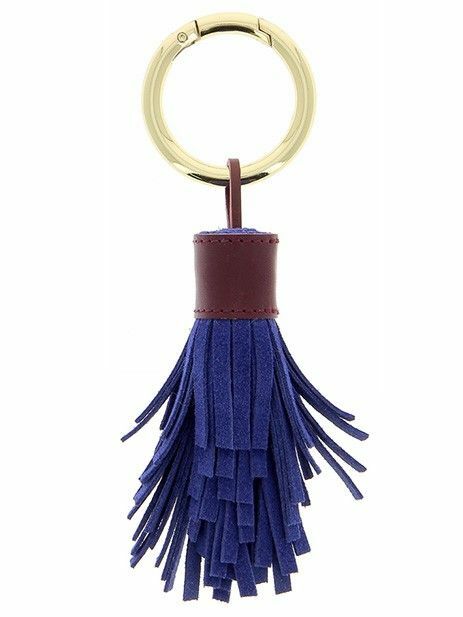 Blue suede tassel and bordeaux leather bag accessory with gold ring measures approximately L x7". Made in France. The perfect accessory for your bag.